Because of the way our bodies respond to Cannabis, CBD is often incredibly effective when it comes to easing the symptoms of chronic pain, inflammation, mood problems, boosting the immune system and more. 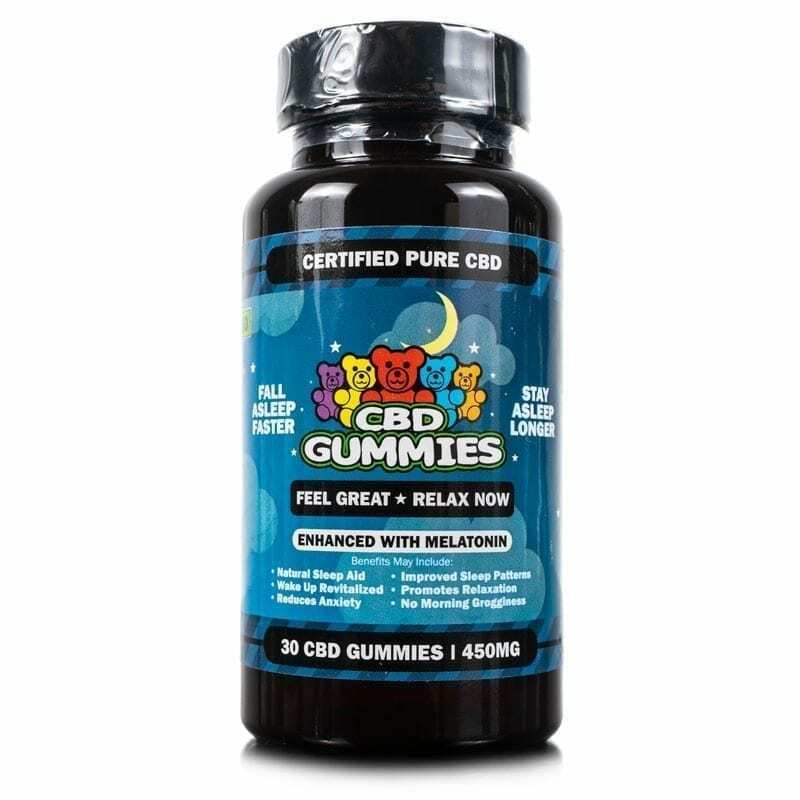 Our High Potency CBD Gummies are more concentrated than our traditional CBD Gummies, and they follow the same strict manufacturing and sourcing guidelines. 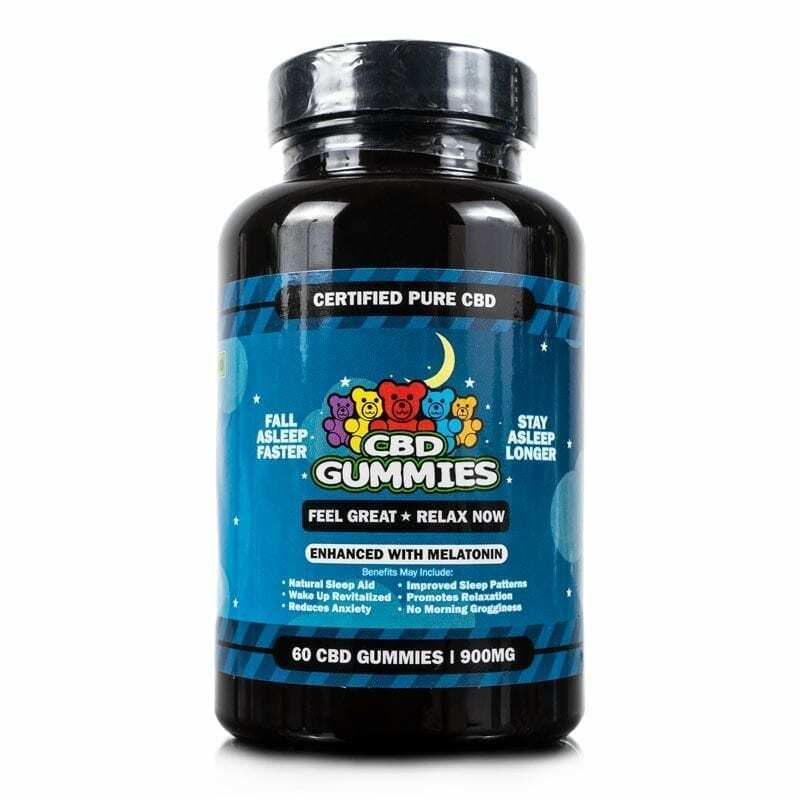 Get a good night’s sleep and experience the natural benefits of pure CBD with our CBD Sleep Gummies. 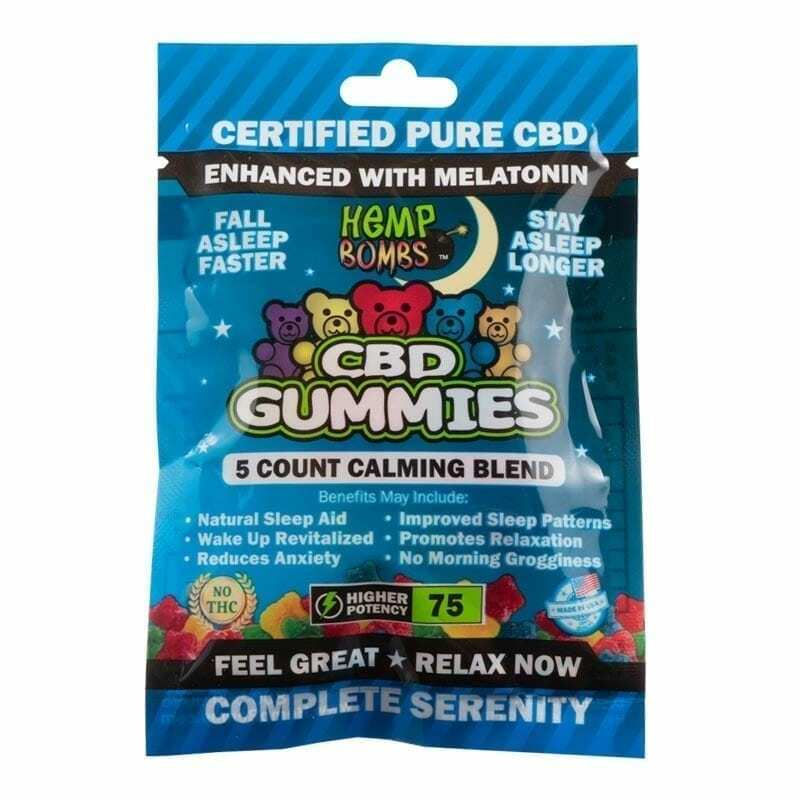 Each chewy CBD gummy combines a concentrated dose of certified pure CBD and Melatonin to promote restful sleep and morning wakefulness. If you’re looking for high-quality, potent CBD Gummies, you’ve come to the right place. Hemp Bombs products are a step above the competition because we prioritize quality above all else – our in-house production team makes sure that all of our products meet our rigorous standards. Hemp Bombs CBD is harvested from organic, superior-grade Industrial Hemp grown by U.S. farmers, and we only partner with growers who have shown a commitment to sustainability. 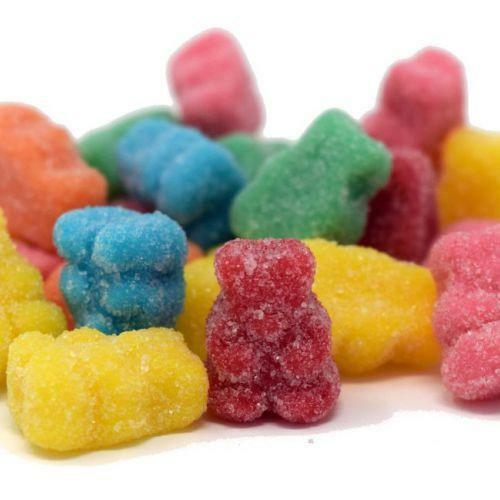 Our CBD Gummy Bears contain CBD isolate, which means they have no Tetrahydrocannabinol, or THC – the substance found in Marijuana known to produce a “high.” Our gummies are available in 5-count, 15-count, 30-count and 60-count packages and offer a variety of price points, making the product accessible regardless of your budget. The more you buy, the more you save: The 60-count gummies are roughly $1.65 a piece, while the 5-count is roughly $2.99. Hemp Gummies from Hemp Bombs are a worthy investment for your health and wellness. 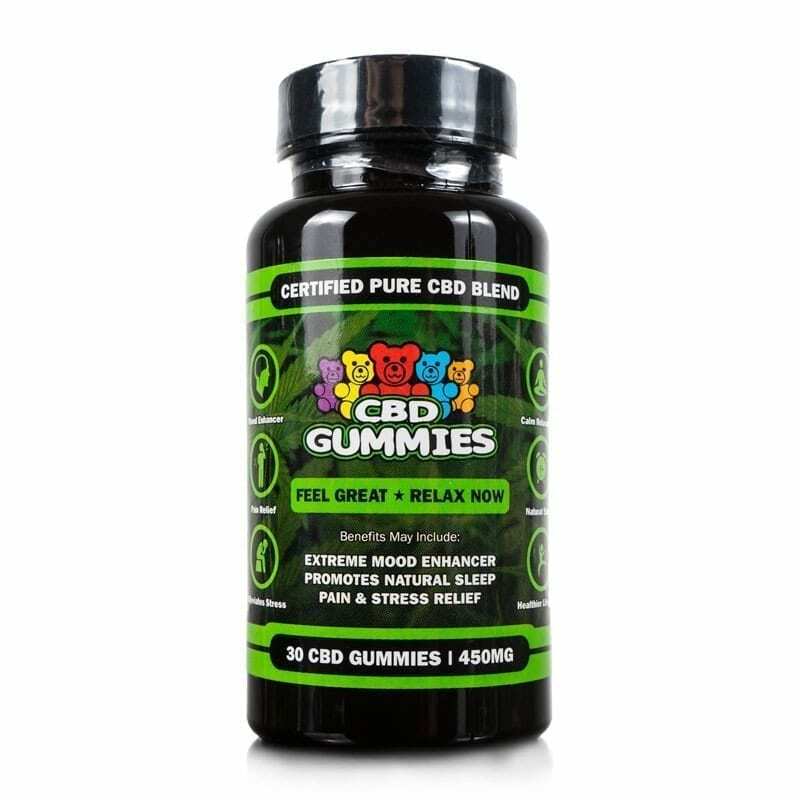 Order our CBD Gummies today and experience the potential benefits of hemp gummies firsthand. 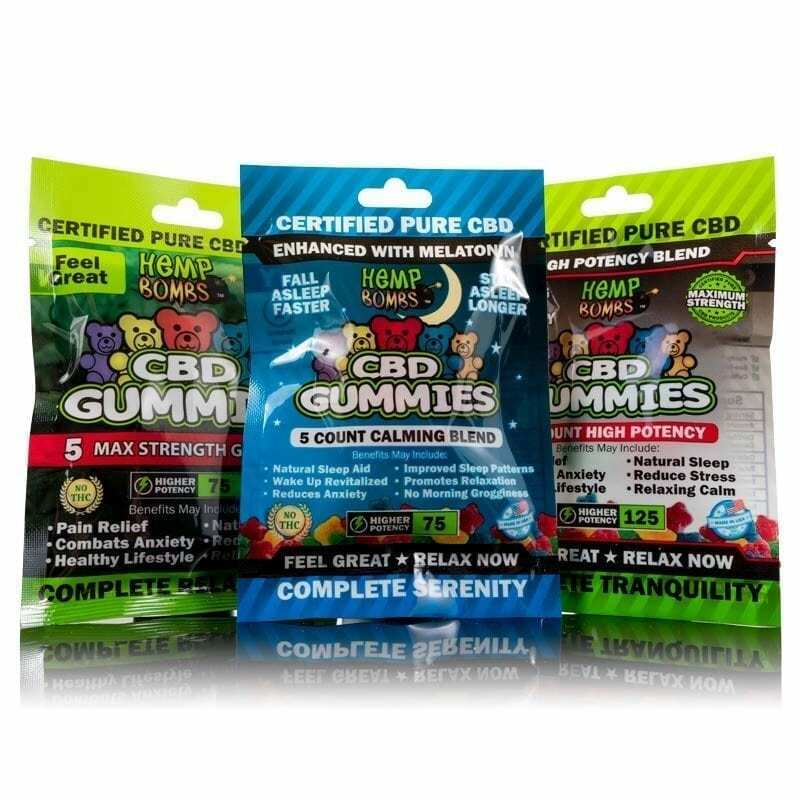 Why choose CBD Gummies or CBD in general? It all comes down to the purported wellness benefits of CBD and why it’s beneficial for so many people. It’s been shown to have anti-inflammatory benefits and can even aid in pain relief and insomnia, which makes our gummy bears much more valuable than the average confectionery. 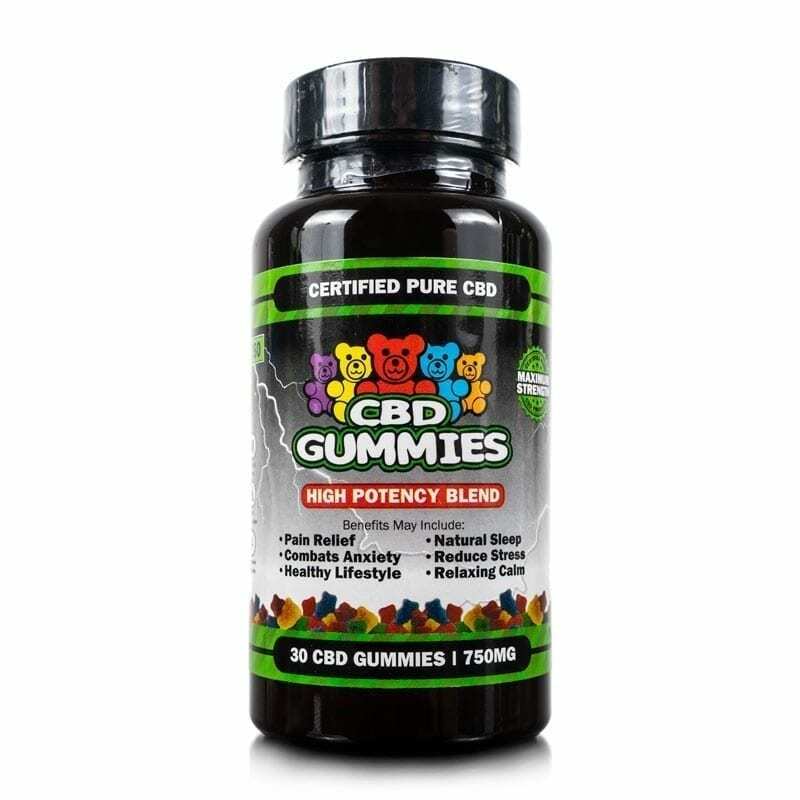 Many of our customers tell us they experience life-changing results after taking Hemp Bombs CBD, and the gummies are one of our most popular products for a reason. Our gummies are a popular choice among people dealing with chronic pain. Because of the way that CBD interacts with the ECS, CBD Gummies have the potential to soothe the severity of pain caused by conditions like rheumatoid arthritis, fibromyalgia and more. Anxious about a big presentation or a huge exam? 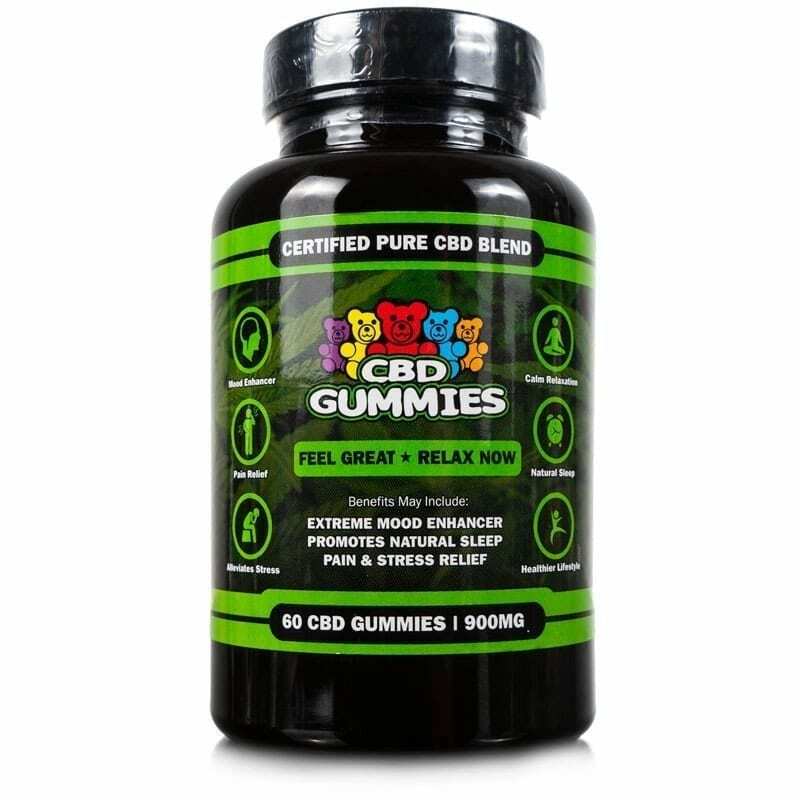 CBD Gummies are a fantastic way to potentially alleviate some of the stress that inevitably accompanies important life events. CBD increases the amount of anandamide in the brain - a neurotransmitter sometimes called the “bliss molecule” because of the way it impacts mood. Because of this, CBD may be able to reduce nervousness and anxious feelings. When your body is operating healthily, inflammation is a good thing. It’s a sign that your immune system is responding to an injury and doing its best to heal without infection. However, inflammation can quickly become an issue if your immune system begins to attack healthy cells – you’ll likely experience pain, fatigue and other distressing symptoms. That’s why our gummies are a must-try for anyone who wants to naturally lower inflammation. Millions of Americans deal with unsatisfactory sleep, insomnia, restlessness and trouble falling asleep. These gummies offer a possible solution – when taken right before bed, they have the potential to help regulate your circadian rhythm and get a good night’s sleep. When you’re buying a consumable product, you want to make sure that you know where it originated and how it was sourced. If a CBD brand is using low-quality Hemp, the product will be inferior regardless of how strict quality control standards are. That’s why Hemp Bombs uses organic, superior-grade Industrial Hemp – and all our CBD undergoes an isolation process to ensure that our products don’t contain cannabinoids (cannabis compounds) other than CBD. Even if you aren’t concerned with sourcing, it’s important to consider that you could experience less than satisfactory results if your CBD is poorly sourced. We want you to only take high-quality CBD, which is why our team is intentional during every step of the process. Whether it’s harvesting Industrial Hemp or making sure that our products are packaged with care, your needs will always come first. CBD can be sourced from either Marijuana or Hemp, but Hemp Bombs CBD is derived from Industrial Hemp and is not a Marijuana product. It will not cause failed drug tests or any psychoactive effects and is federally legal. All our products undergo third-party lab testing to ensure the purity of our CBD. With so many CBD companies to choose from, it’s difficult to know whether a brand is offering a pure product, which is why we have an unbiased third-party laboratory perform tests for CBD and other compounds. We share those lab test results publicly to ensure that you can always feel confident in Hemp Bombs. Your wellbeing is a big deal to us, and we know you don’t want a consumable product that contains harmful additives. While CBD has purported wellness benefits, you don’t have to worry about our gummies tasting like medicine. In fact, most of our customers look forward to taking them because of the yummy flavors. 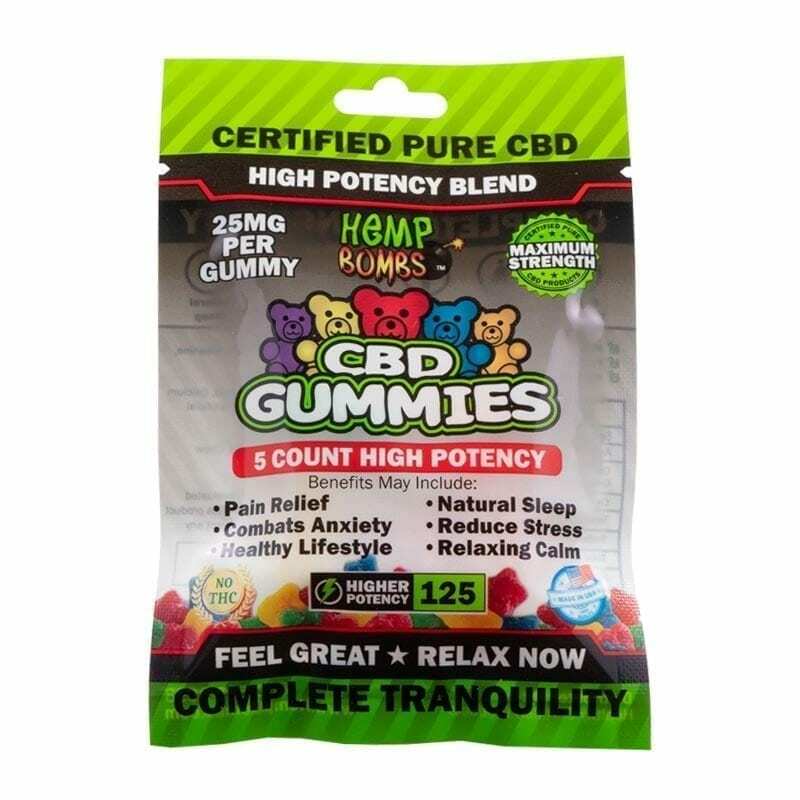 The gummies are CBD-infused but still taste great and are fun to chew. Whether you order a 5-count package or a 60-count bottle, Hemp Bombs gummies are fun to take and easy to carry around. They’re brightly colored and shaped like bears – what’s not to love? 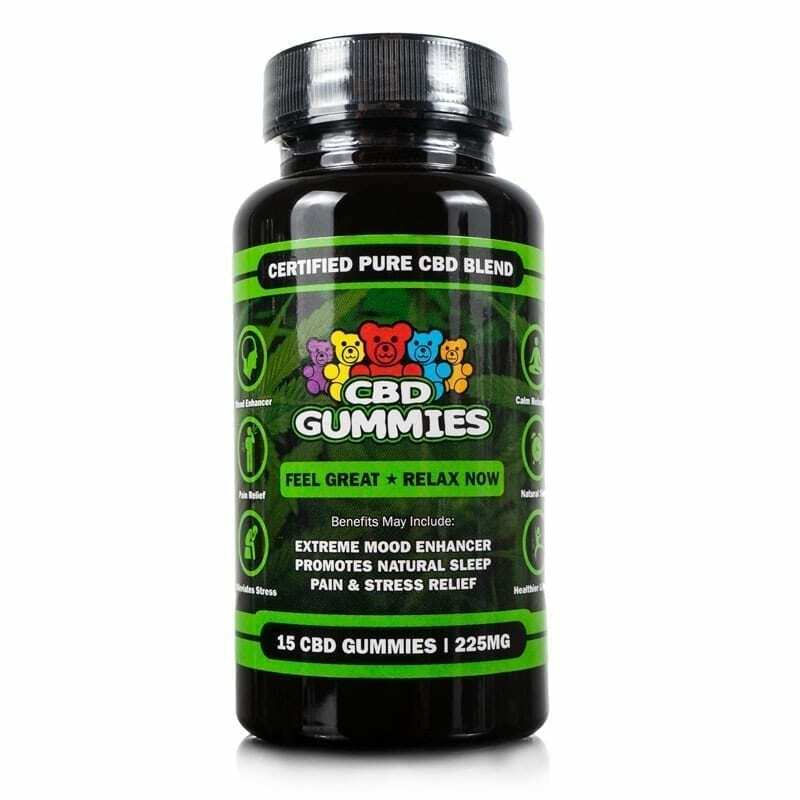 Additionally, CBD Gummies make it easy to keep track of how much CBD you’re taking. 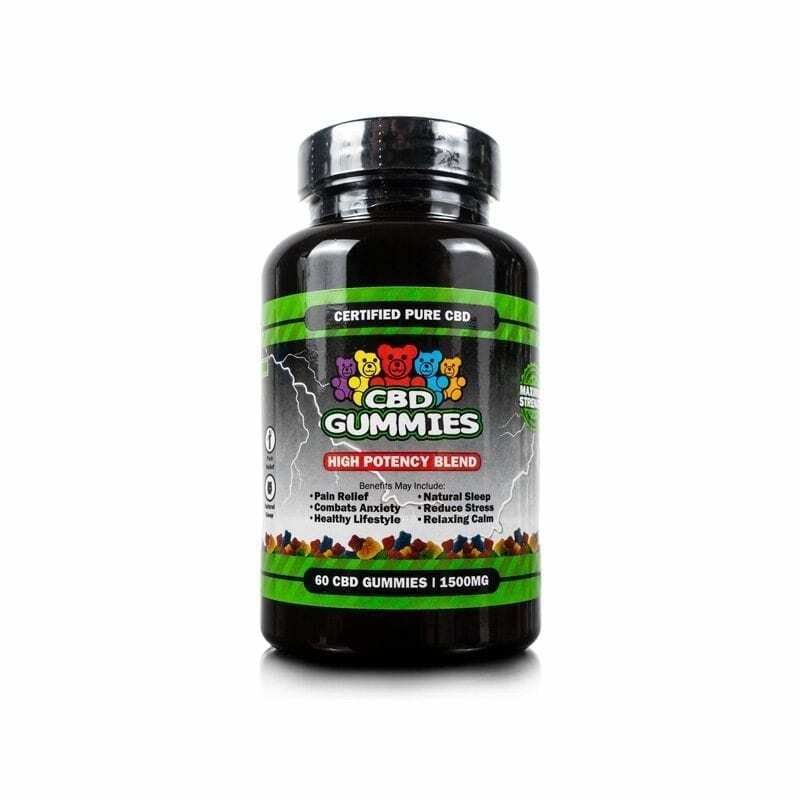 Each regular-potency gummy contains 15 milligrams of CBD, while high-potency gummies offer 25 milligrams of CBD each. While Marijuana contains high amounts of THC, Hemp contains only trace amounts of THC. Even if Hemp was consumed in its rawest form, it wouldn’t produce a “high.” Hemp Bombs takes it a step further by only using CBD isolate, which contains zero THC and is federally legal in the U.S. You don’t have to worry about failing a drug test or becoming impaired while taking CBD. While CBD affects everyone differently, it can be highly effective because of the Endocannabinoid System, or ECS. Even if you aren’t quite sure what the ECS is, you can’t function without it. It’s responsible for mood, appetite, inflammation control, memory and many other functions within the human body. When you take CBD, the cell receptors in the ECS respond and process the compound. That’s why CBD can affect so many areas of health in unique ways. 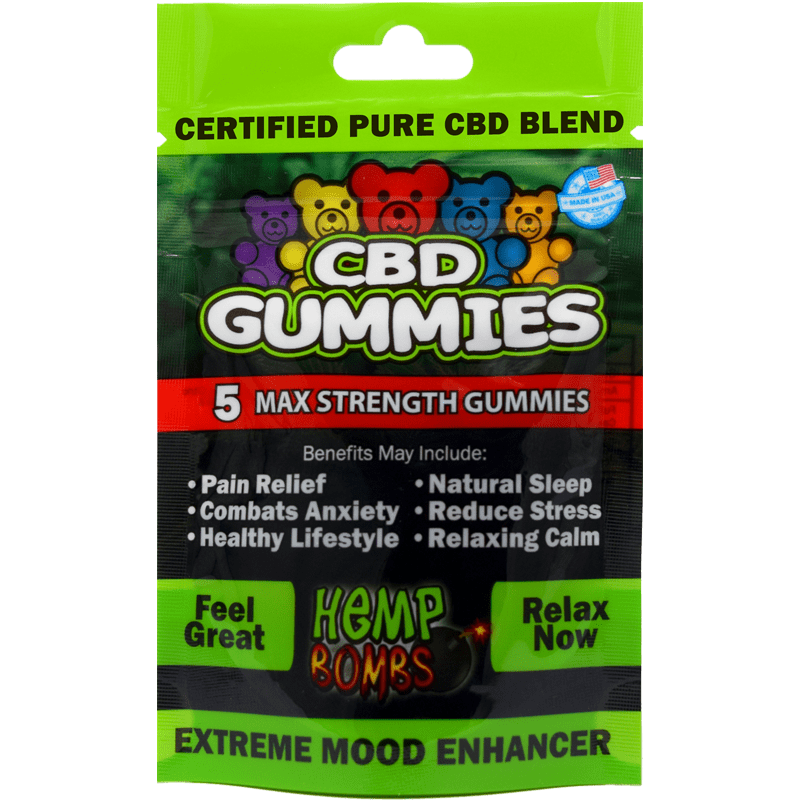 Hemp Bombs CBD Gummies have been reviewed by thousands of satisfied customers, and you’re able to read their thoughts on each product page. Don’t just take our word for it – read what real people have to say about the Hemp Bombs brand by clicking on a product and scrolling through the reviews.